Past, present or future: which verb to use? 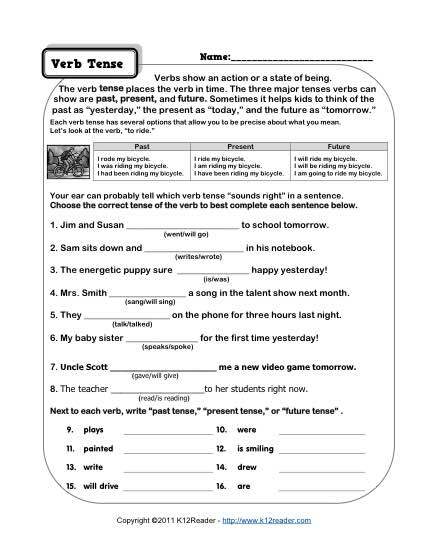 This is a great practice worksheet to help your student understand the different verb tenses. While aligned with 3rd, 4th and 5th grade Common Core Standards for Conventions of Standard English, you may find it helpful for other students.